The Version Fans Have Been Waiting For hits Blu-ray™, DVD and Digital HD July 14! 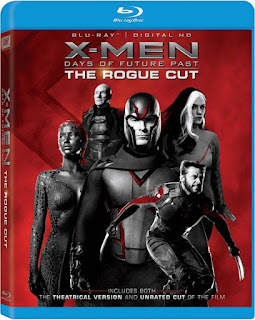 LOS ANGELES, Calif. (May 19, 2015) – Twentieth Century Fox Home Entertainment will take you back in time for an all new experience as the X-Men: Days of Future Past Rogue Cut hits Blu-ray™ and DVD July 14. Fan-favorite mutant Rogue, played by Anna Paquin, finally joins the all-star cast, including Hugh Jackman, Michael Fassbender, James McAvoy, Halle Berry, Jennifer Lawrence, Ellen Page, Ian McKellen and Patrick Stewart, as they prepare to battle the Sentinels! 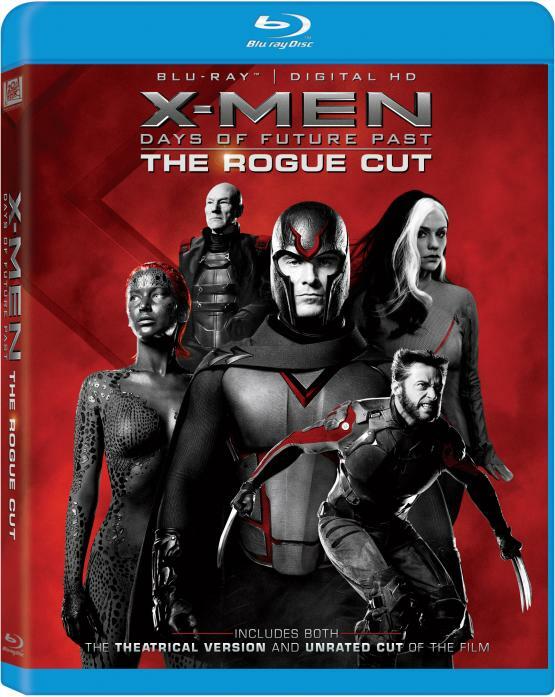 Packed with an all new cut of X-Men: Days of Future Past and nearly 90 minutes of new content, the Rogue Cut is the ultimate fan collectible! Go behind-the-battle for Earth with the definitive documentary “Mutant vs Machine” or look into the future with a sneak peek of the new Fantastic Four film. I saw the movie in theaters and we bought it on dvd as soon as it came out. Both my husband and I were disspointed when we had found out that Rogue's scenes were deleted from the movie but then when we heard that it would come out in a different release with all the Rogue scenes we just knew we had to get this. I couldn't wait to watch X-Men: Days of Future Past Rogue Cut so that evening we popped it in the PS3 and watched it. The movie was so good before but I really enjoyed this version even better. I don't know why they had cut it like that because really this version is fantastic.